What does everyone think the future of the value of these little jewels will be? Superman selling for over $300, Batman & Green Lantern for about $100 each, and the Marvel figures through the roof. Fad, or future super-collectable? And on a side note, why is Super-Man (available in sets) selling for 4 times what Green Lantern (not available in any set, maybe never will be)? Really? Superman is selling for that much? I have a couple Batmans and a green lantern and wasn't bummed that I didn't get superman cause I knew it would be available in sets. But the other 2 still aren't available in sets, (notice the batman is a different version). Maybe its because there were more batmans/green lanterns produced and not as many supermans? 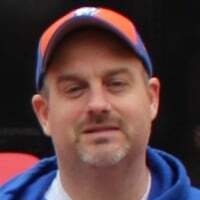 ^The Superman on card was only at NYC Comic Con and the Batman and Green Lantern on card were at both conventions (SDCC and NYCC). Maybe it's the minor changes in the card's graphics that make 'em more collectable for one over the other? One has the New York Brick, the other San Diego Brick with their respective convention graphics. Never got the Superman...just too busy to keep checking back in at the DC booth. Got lucky and got the Green Lantern and Batman from a fellow Lug mate. I have the Marvel figures and am also trying to determine the value of them. It's so difficult, if anyone has any help for me and legos4ever that would be awesome. I mostly want to know if the Marvel figures are going to be re-released in special packages/sets, etc.... Then I will know to sell. Dude who scored those for you? ^I can't reveal my sources...;) Ok, ok...it was a great young builder you've collaborated with many o'time(Rick3691). He is awesome to say the least! Is there anybody who knows the difference between NYCC superman and 6862 superman? I don't think they are different.. 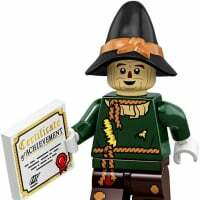 I'm just curious, how were the minifigures distributed at both conventions? 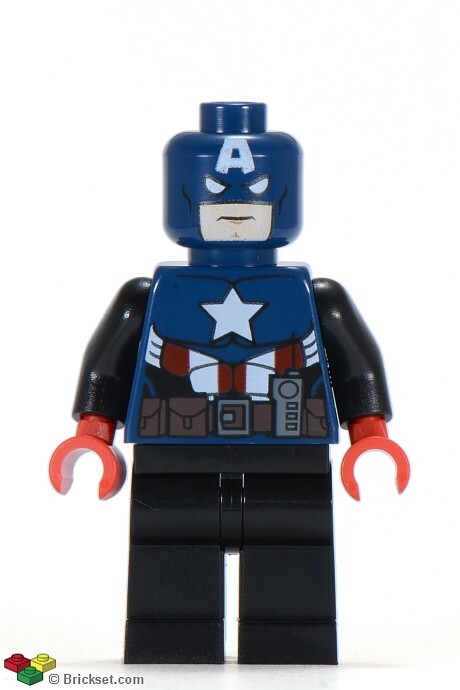 Which minifigure out of the two exclusives from New York toy fair 2012 would be more valuable in years to come, nytf exclusive captain America minifigure with shield or nytf Iron man minifigure? @kez- Usually they are kept in a set of two, because that's the way they came. 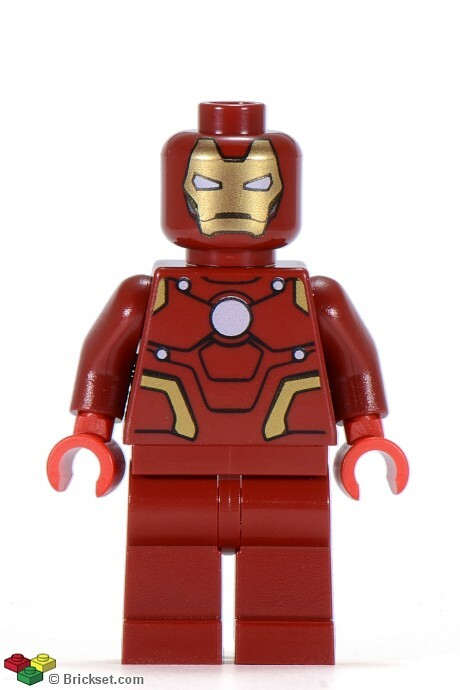 However, if they did get split up (Like I have an extra loose http://images3.wikia.nocookie.net/__cb57087/lego/images/6/63/Sh027.jpg), I would tend to think that Ironman would be worth more. Just because he doesn't have the flip-up mask, and that it's rather painted on. Bucky looks a lot like the normal Captain America, just a few print changes, but nothing major like the mask-change. @kez- Oh? I want in on this competition! ;-) What is it? Well, to anyone that may win, I want the Bucky (or ironman, preferably bucky though). So to anyone that wins, and doesn't want to keep it, please contact me to hammer out a deal! I've said it before, but something is only worth what someone is willing to pay! Take the original Batman figs for example, they were in high demand as they were the only way to have those characters in lego form. Now that there are new and (fairly) easy to obtain figures I imagine demand for the original versions has probably dropped. There will always be collectors who what every version of every figure and are willing to pay for that privilege, but there are probably a lot of collectors (like myself) who are just as happy with a Batman fig from a (50p) newspaper promo instead of a $100 'exclusive'. That said, I'd still love a Shazaam that is unlikely to appear in any sets. I guess that's what makes a figure a bit more desirable. Now that there are new and (fairly) easy to obtain figures I imagine demand for the original versions has probably dropped. Actually, the opposite has proven true. Prices for all the original batman figures are trending upwards as of right now. We'll see if it continues to do so though. As long as there are collectors out there, the market will stay solid. As LEGO continues to get better, the number of collectors will increase, and to complete their collections they'll want the old figures too (paying premium prices to get them). That's my take on it. True, hadn't thought of it that way. I guess new lines can increasing interest in previous incarnations of the characters. Exactly, and that's what has been proven true so far. ^Maybe the buyer didn't pay.